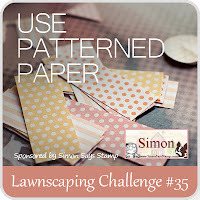 I'm also still in a paper-piecing mood for the Lawnscaping Challenge #35 to use patterned paper. Hello Shirley-bee! I love the pattern paper that you chose for this design. It's so warm and inviting. The added blings really add the festivity to the entire design! So glad that you play with us at Lawnscaping AND CAS-ual Fridays!! Super cute card! Love the bling with the bubbly! 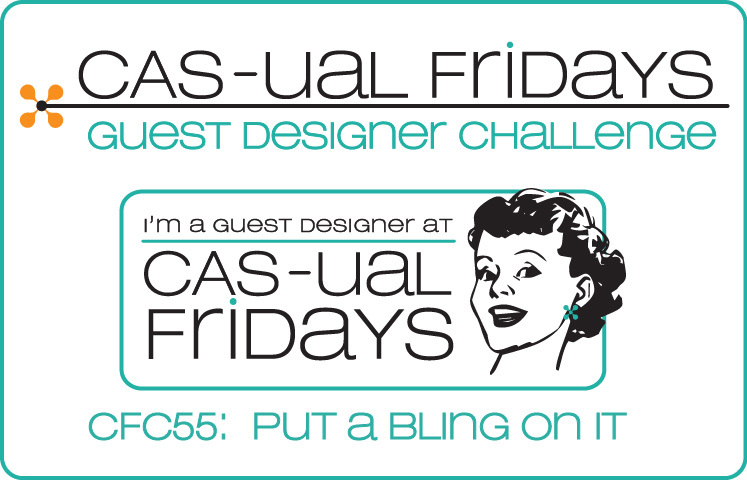 Thanks for playing along with us this week at CAS-ual Fridays! Another great one Shirley!!!! Great patterned paper!!!!!!! The added bling is a great touch! Perfecto!!! Thanks so much for joining us at Lawnscaping!!!!!! HOw fun is this? Love your use of pattern paper! Thanks for playing along at CAS-ual Fridays!